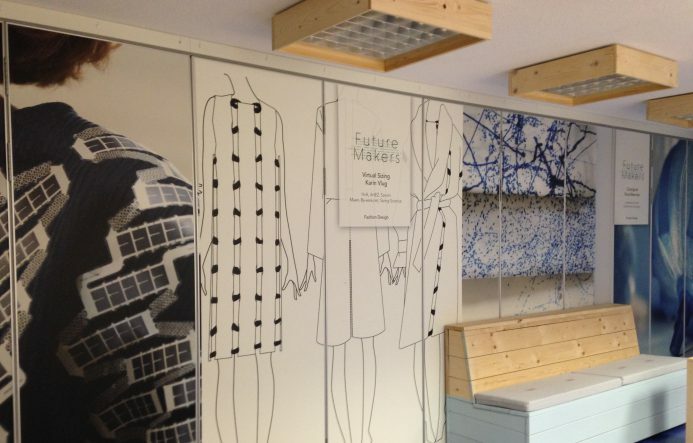 At the beginning of 2015 ArtEZ started the Centre of Expertise Future Makers. Design, research and innovation are the core principles with the aim to create new, sustainable materials as well as developing innovative production processes. The collaborations with creatives, companies and educational institutions such as AMFI and Saxion have led to high-profile projects from which four will be presented on June 29th. The event will be held from 13.00 until 18.00. The project Closing the Loop focuses on circular economy with sustainable and affordable clothing made from recycled cotton and hemp. Hemp is a material that results in, compared to cotton, fewer use of natural resources, less waste and a more cost-efficient way of working. Going Eco Going Dutch researches how we can produce locally. Within this project textile producers and fashion companies work together with educational institutions. Together they develop sustainable and locally produced textile fibres into yarns and create fabrics and knits, which will be made into (fashion) products. The project Virtual Sizing researches how new technologies, such as 3D-bodyscans, can be used to create clothing for wheelchair users that fit the wishes and demands of the market. The current offer doesn’t match the latest fashion trends and is often overpriced. Composing the New Carpet is a project, which focuses on the innovation capacity of the Dutch carpet industry. It will also offer designers the opportunity to link their talents to concrete design issues within the industry. During the year event, the interim results of ongoing projects are presented with the objective to share knowledge and further develop the network.